Mr. Merker is a graduate of Syracuse University with a Bachelor of Science Degree. He is a Certified Public Accountant in the State of New Jersey and State of New York. 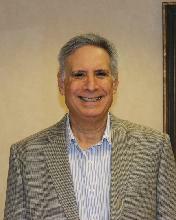 He is a member of the American Institute of Certified Public Accountants and New Jersey Society of Certified Public. In addition, Mr. Merker is a Licensed Investment Advisor, Series 66. In Mr. Merker's capacity as a member of the firm, he is responsible for audit, review and compilation engagements, preparation of financial statements, corporation income tax returns, partnership income tax returns, individual income tax returns, estate and fiduciary income tax returns, mergers and acquisitions, estate and financial tax planning, business valuations and various areas of litigation support. He has served as a valuation expert in legal proceedings involving matrimonial, shareholder disputes, and fraud issues. Mr. Merker has been qualified by the Superior Court of New Jersey as an expert on valuation related issues and assists the Court as a Fiscal Trustee and has served in these capacities on numerous occasions. He is currently a Director for the New Jersey Society of Certified Public Accountants - Passaic County Chapter and is currently on the Board of Directors of various philanthropic organizations in northern New Jersey. Mr. Merker lectures on various accounting and computer issues and provides continuing education to Certified Public Accountants through lecturing and members of his own firm. Mr. Petrella is a graduate of William Paterson University with a Bachelor of Arts Degree. Mr. Petrella is a Certified Public Accountant in the State of New Jersey and State of New York. He is a member of the American Institute of Certified Public Accountants and New Jersey Society of Certified Public Accountants. In addition, Mr. Petrella is a Licensed Investment Advisor, Series 66. 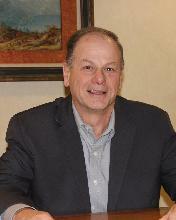 In Mr. Petrella's capacity as a member of the firm he is responsible for audit, review and compilation engagements, preparation of financial statements, corporation income tax returns, partnership income tax returns, individual income tax returns, estate and fiduciary income tax returns, mergers and acquisitions, estate and financial tax planning, business valuations and various areas of litigation support. Mr. Petrella has over 30 years of experience in audit and accounting services, tax services, valuation services and forensic accounting. He has served as a forensic accountant and valuation expert in legal proceedings involving divorce, shareholder disputes, matrimonial, fraud and fraudulent conveyance claims. Mr. Petrella has been admitted as an expert by the Superior Court of New Jersey, Passaic County and by the Supreme Court of the State of New York, Erie County.